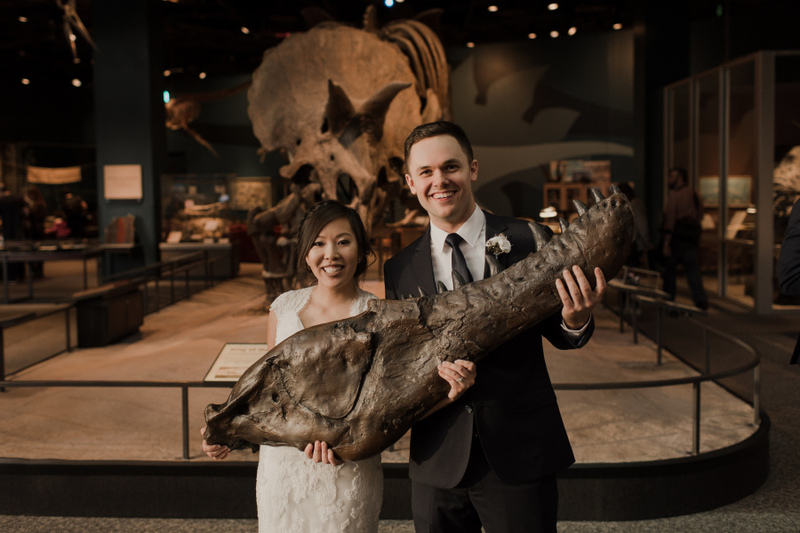 Sky and Hien were married at such a unique venue, The Science Museum of Minnesota in St. Paul. 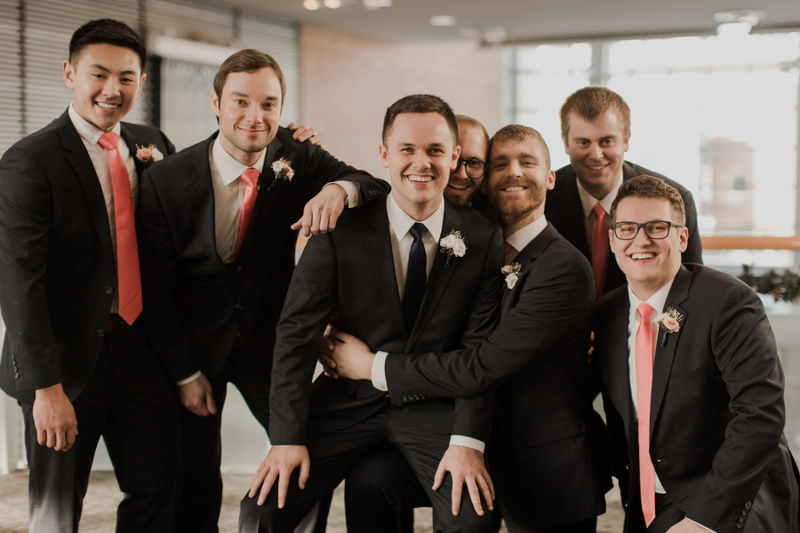 The groom and groomsmen wore classic black suits. The groom wore a classic black tie to stand out from his groomsmen who wore bright ties to match the bridesmaids’ dresses. The pop of color was such a nice touch for a winter wedding. We can't thank you all enough for helping us out.